Reviewed by Todd Michalak on MSC Review Connect for Modeller's Social Club. 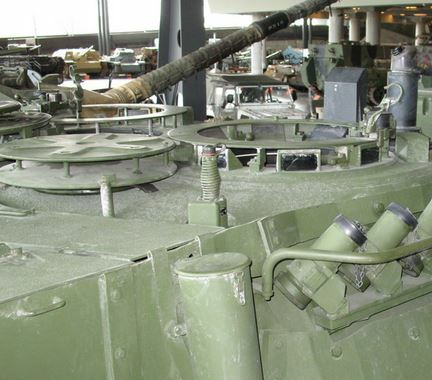 The Leopard Club is an online resourcing site for all things related to the Leopard 1 and 2 Main Battle Tanks. The website is devoted to the modelling of these two beasts of the battlefield and their variants. 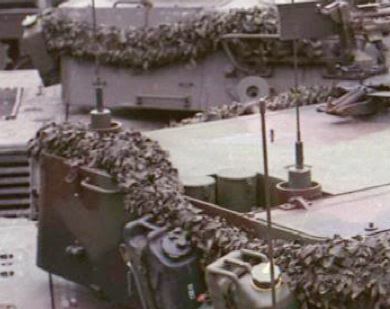 The Leopard Club website offers a wide range of publications including numerous build articles, articles on various Leopard tanks in service including operational histories, tactical markings and camouflages within the Leopard Fibel and Fact Files sections. 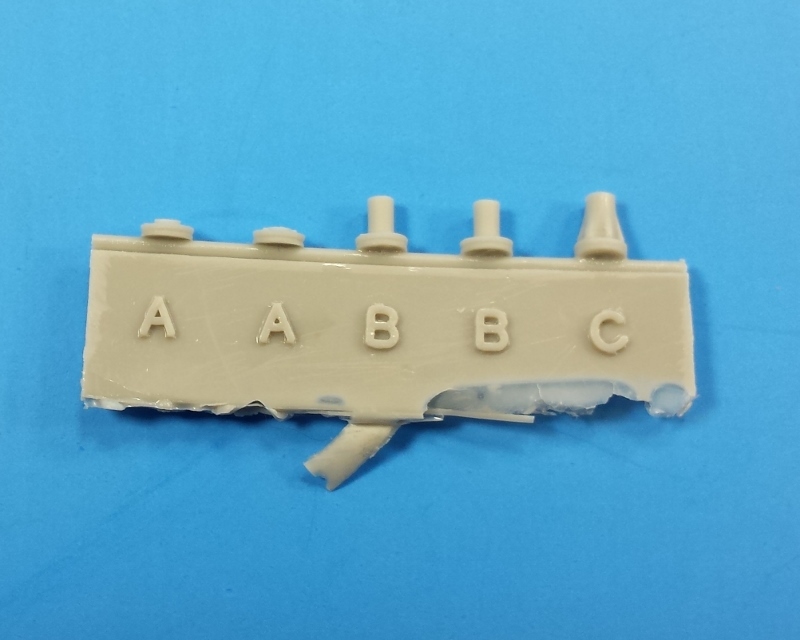 Along with the publications, walk around resources, aftermarket parts for modelling and reader's models, the Leopard club offers a large list of their own conversion parts in the Leopard Workshop to build up the accuracy level of your Leopard 1 & 2 models. 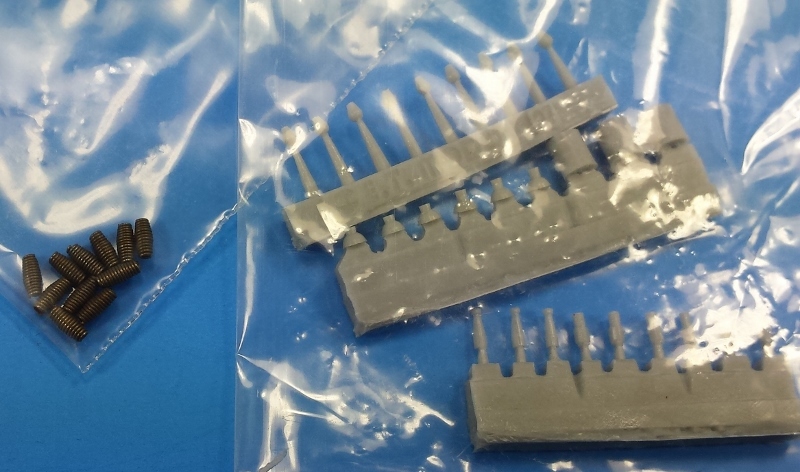 Two of the latest items to reach the shelves inside the Leopard Workshop are 1/35 scale aerials for the Canadian Leopard 2A4M and 2A6M CAN and Canadian Leopard C2 (later versions) and C2 MEXAS. 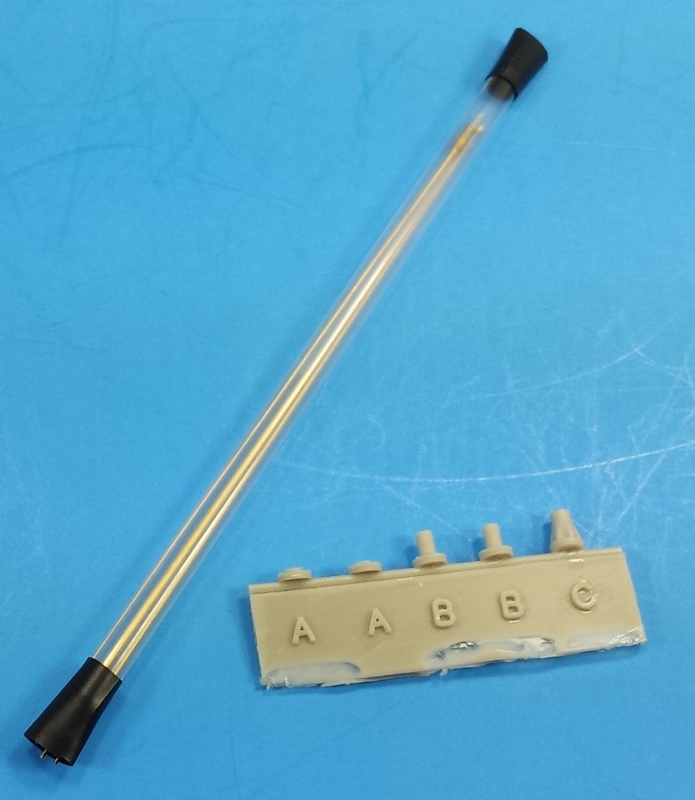 These aerials are to replace the poorly moulded kit supplied parts and to eliminate hassle of attempting to make these aerials on your own. 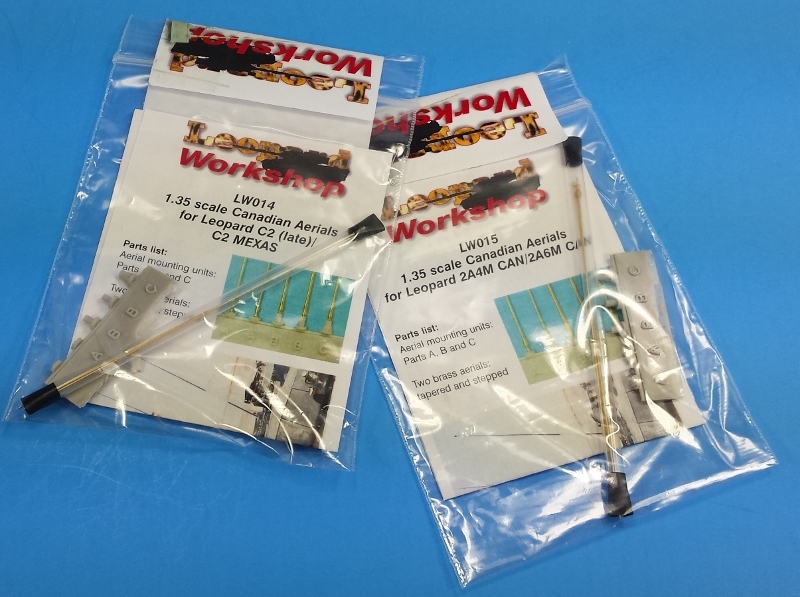 In the LW014 Aerial replacement set, there are five cast resin aerial bases to choose from. 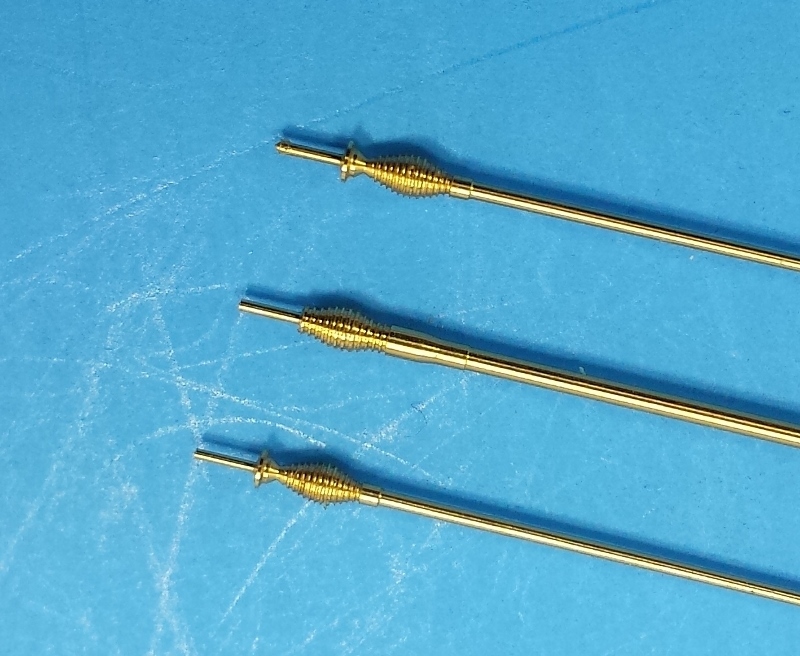 The parts are cleanly cast and have crisp detailing the them there is a small hole cast into these bases to nicely receive the brass aerial tail piece at the bottom of the aerials. 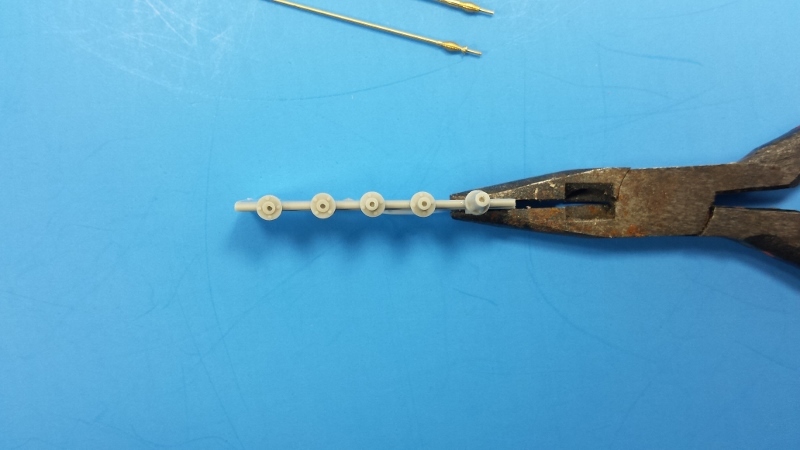 You will need to either snip a small section of the brass aerial tail piece or simply drill out the pre-cast holes in these bases as the tail piece mounts are a tad bit longer than they need to be. 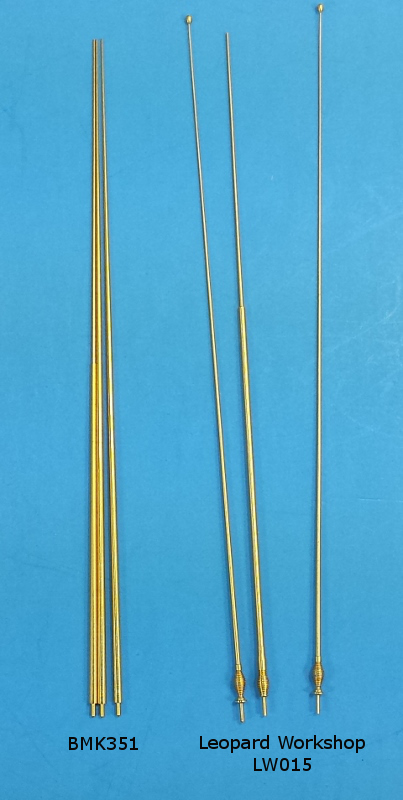 There are two brass aerials included in this set. 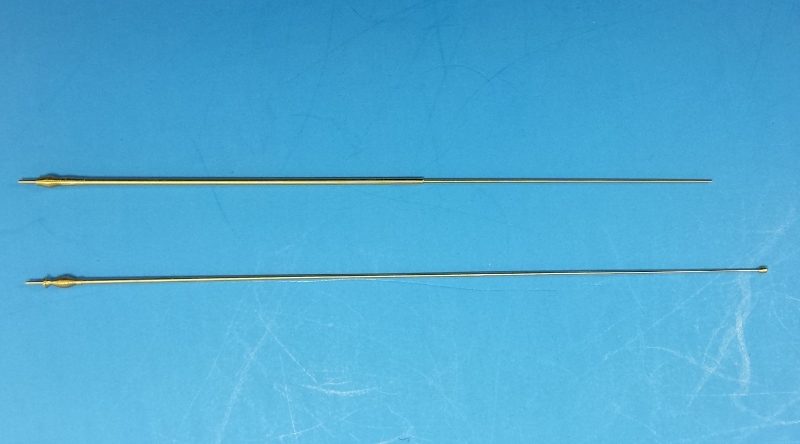 Both of these aerials have the aerial springs turned directly into them. 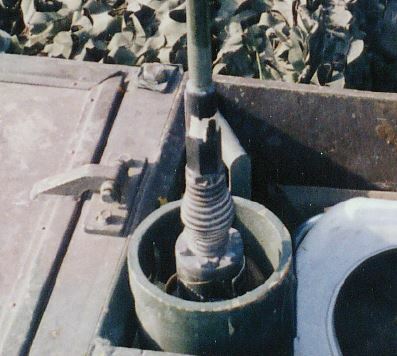 Typically, one of the two aerials installed on the Leopard C2 and C2 MEXAS tanks; radio and GPS aerials. One aerial has a stepped configuration to the design. 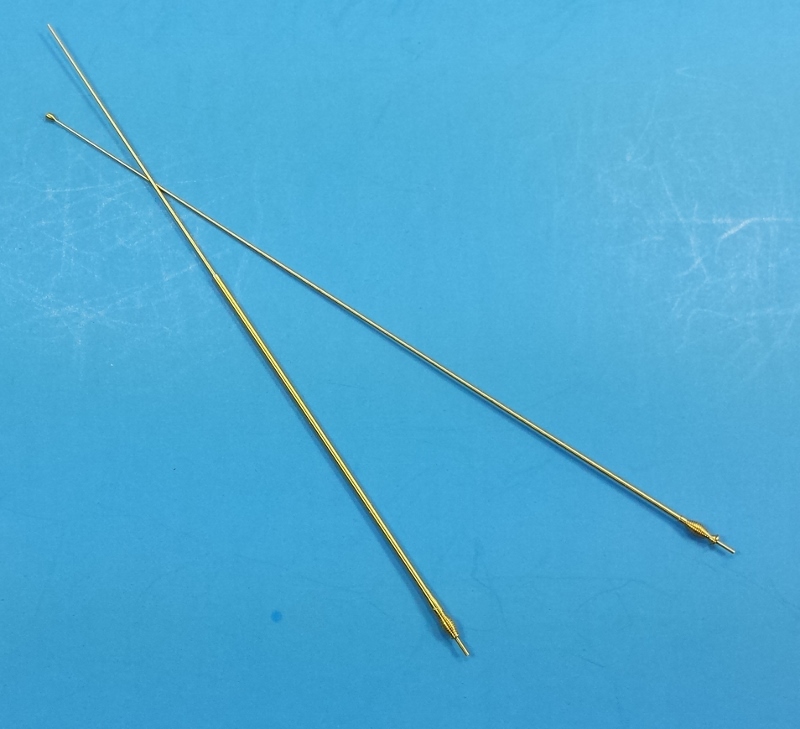 This step in the aerial has been incorporated nicely into the 1/35 scaled replacement nicely with a fine tapered point at the end. 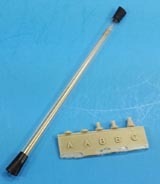 The second aerial came with the small plate located below the spring as well as the teardrop safety ball which appears at the tip of the aerial. The brass replacement has been duplicated really well and shape, length and diameter appear to be indicative of what is seen on the full-sized tank, but scaled down. 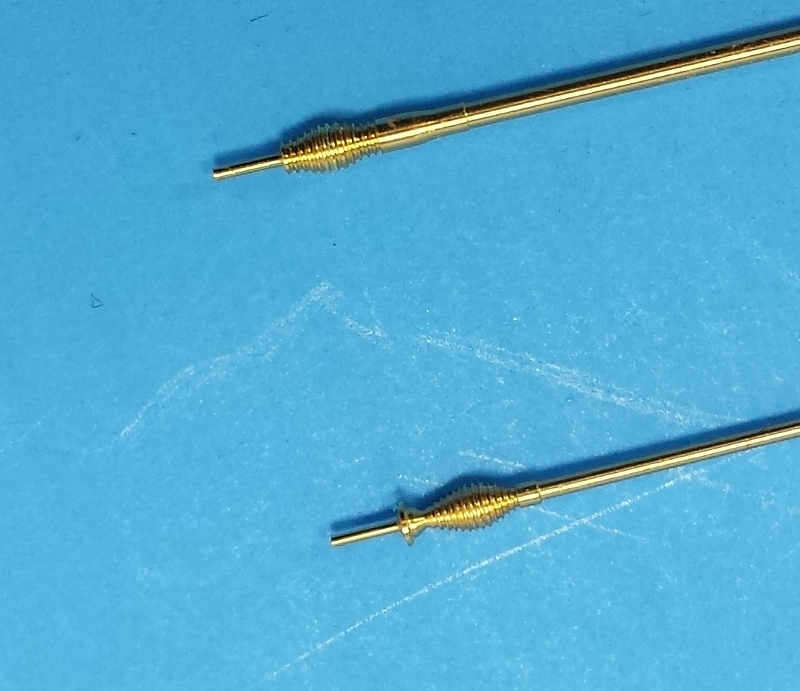 Both of these aerials are machined nicely giving the model builder a more realistic outcome to their finished model. 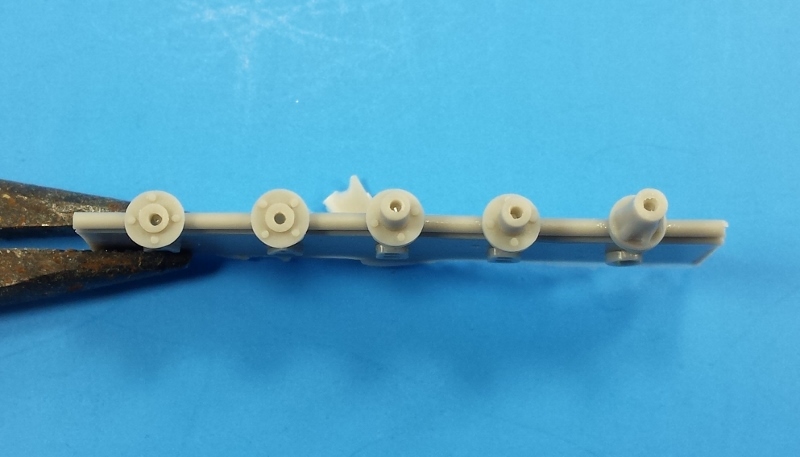 The Canadian Aerials for Leopard 2A4M and 2A6M CAN tanks came with similar aerial array configurations. Both the 2A4M and 2A6M CAN versions of the Leopard were most often seen with three aerials mounted on them. 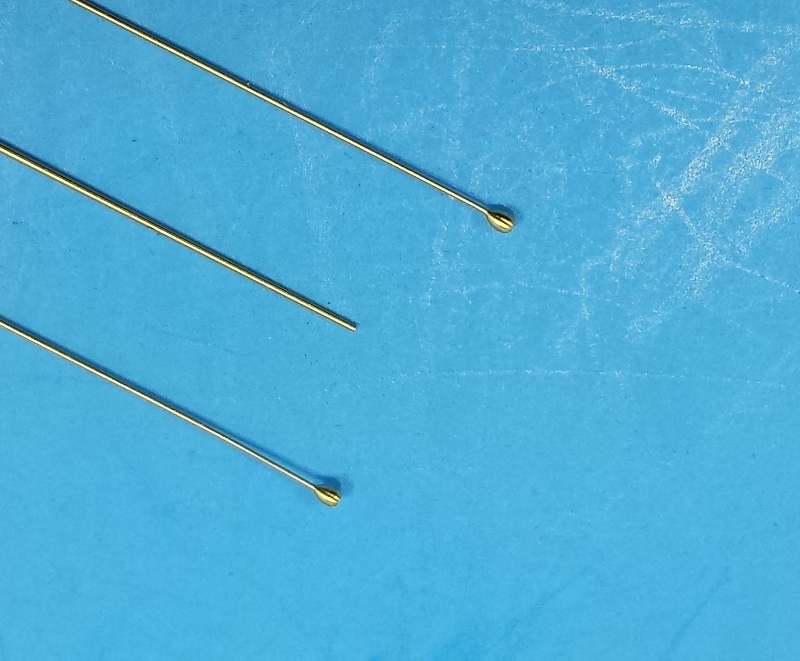 Two of these aerials are the version of aerial where there is a small mounting plate below a relief spring tapering to the tip where there are tear drop safety balls attached. The third aerial consists of the stepped version where at about halfway up the aerial, the aerial steps in and then tapers to a point at the tip. 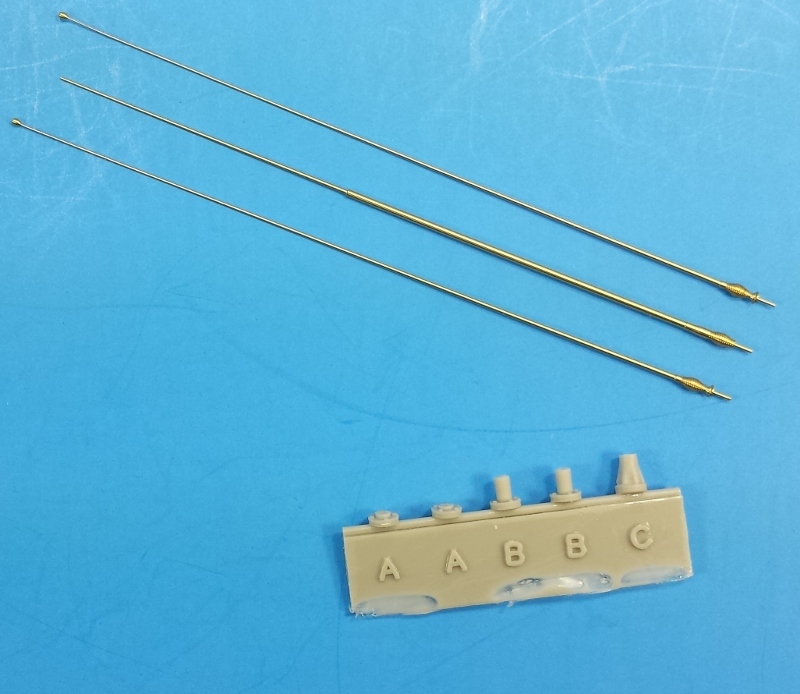 This set of replacement aerials from the Leopard Workshop consists of the same five cast resin aerial bases to give the build a nice selection of the typically incorporated bases used. 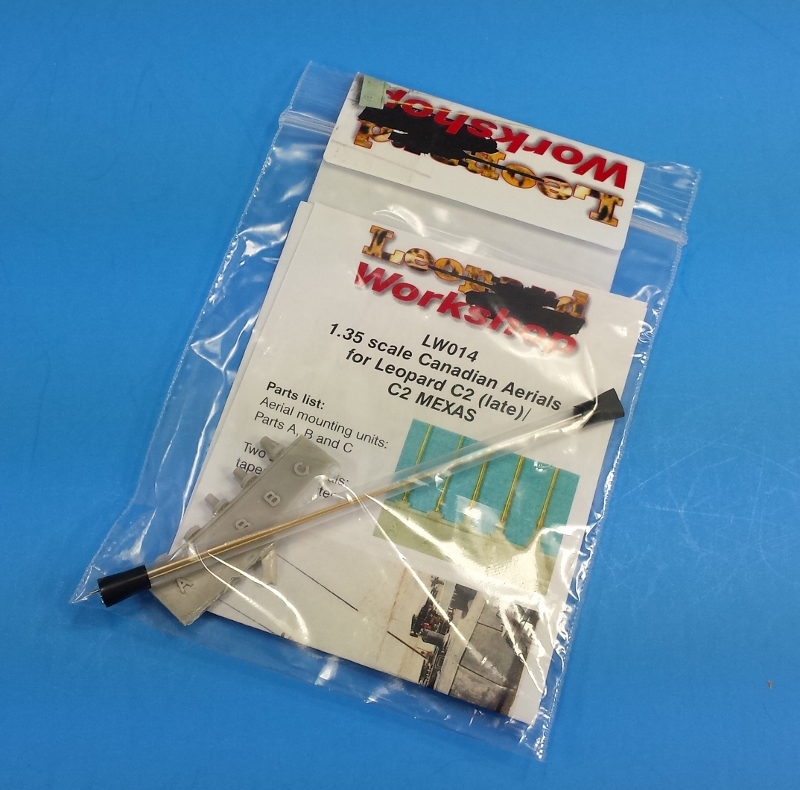 Essentially, the LW015 set is the same set of aerials as seen in the LW14 set but with the addition of one extra tapered aerial with the safety ball attached. 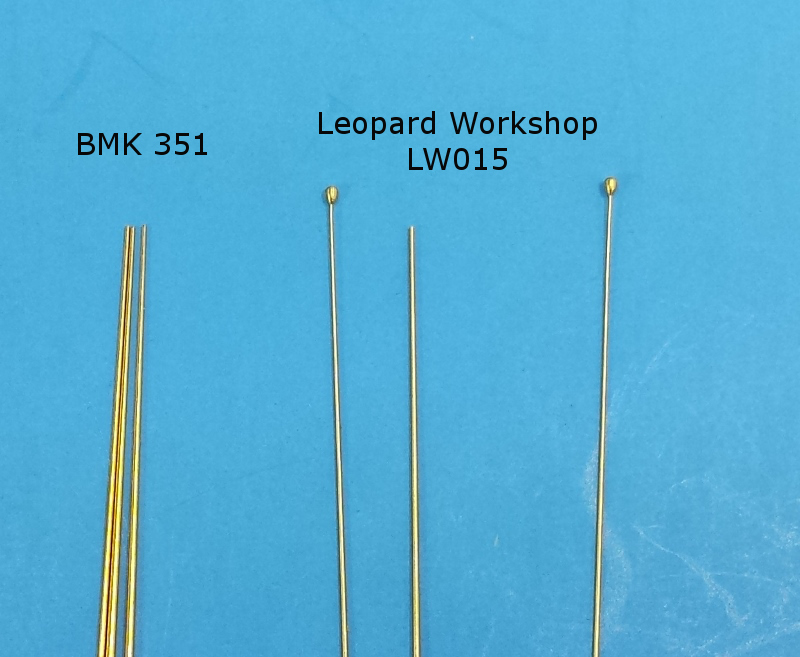 As part of the review, I took a look at a couple of different options I could find to compare the Leopard Workshop Aerials to. I chose the set from BMK and one from ET Models. 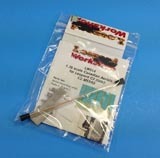 The ET Models NATO Common Antenna Set, while a decent improvement on the kit supplied parts, the set does not come with the aerials themselves which would leave the builder outsourcing for the whip antenna section. 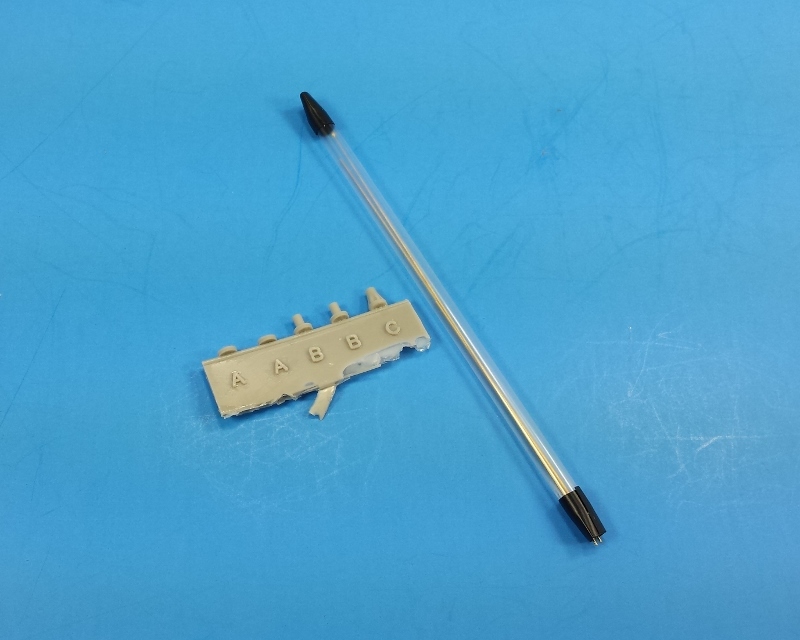 BMK offers their BMK-351 (Leopard 2) Set (Leopard Workshop - these are no longer produced). While this had a decent representation of the aerials created from turned brass stock, there were no bases included with the set. 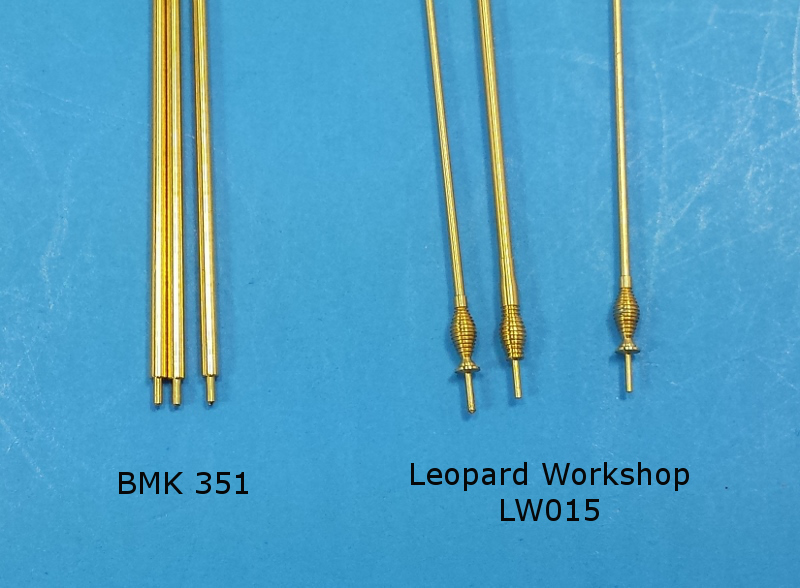 Adding to the lack of detailing, the BMK version tapered to the tip only, where the Leopard Workshop aerials come with the appropriate tear drop safety ball milled into the part. 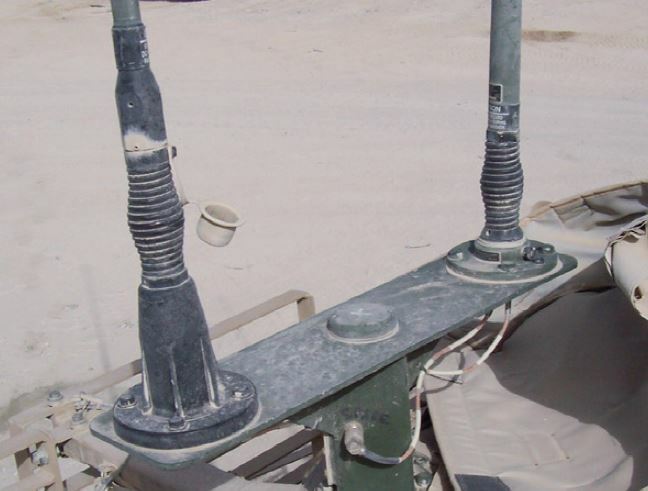 I am impressed with both the LW014 - Canadian Leopard C2 (later versions) and C2 MEXAS and LW015 - Canadian Aerials for Leopard 2A4M and 2A6M CAN sets of aerial replacements offered by the Leopard Workshop as part of the Leopard Club. 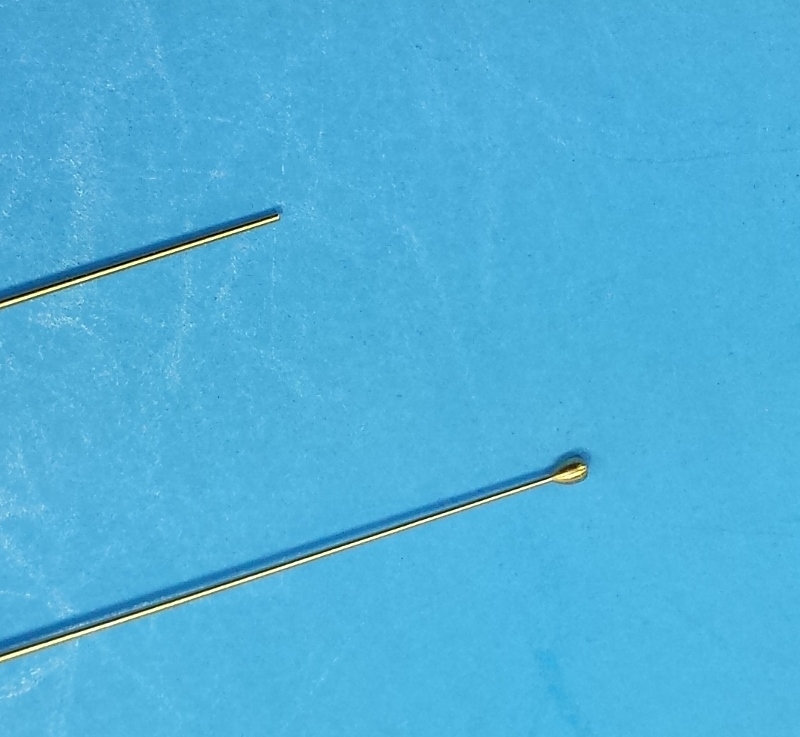 Both of these set come with beautifully cast resin replacement bases for the finely turned aerials included with the sets. 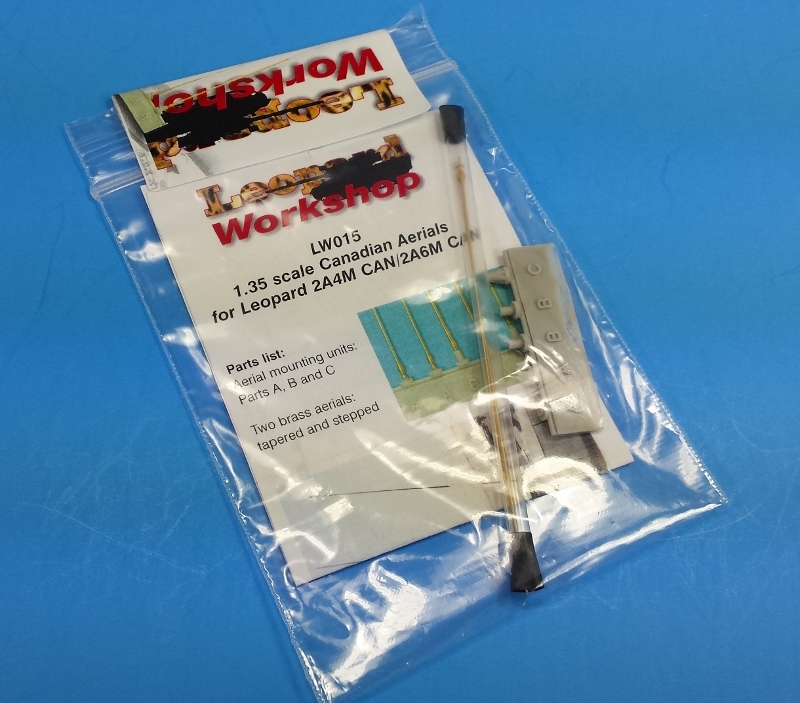 The Modelers Social Club and MSC Review Connect would like to thank Leopard Club and Leopard Workshop for providing these review samples to us.